Tiffanie Mang is an illustrator and plein air artist born and raised in San Diego. She studied at the University of Southern California, graduating with a BA in Animation and Digital Arts in 2014. 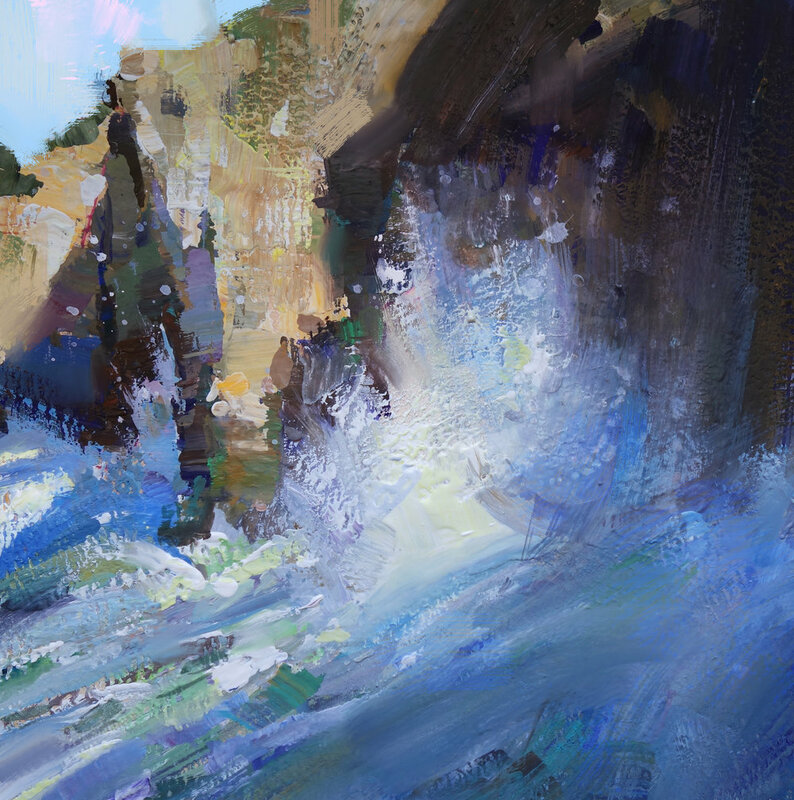 Aside from working in the animation industry as a freelance concept artist and illustrator, her biggest passion is plein air painting and painting landscapes in oils. In 2016, Tiffanie worked as a painter animator on Loving Vincent, the world's first fully hand painted feature film in oils, which was also a 2018 Oscar nominee for Best Animated Feature Film. Flying over to Gdansk, Poland to take an animation test in May, she worked on the film for 6 months while living in the country. It was an absolutely incredible experience that changed the direction of her life. Being surrounded by so many talented international fine artists, Tiffanie knew that when she went back to the states, she had to somehow pursue her passion for fine art more and make it a reality. 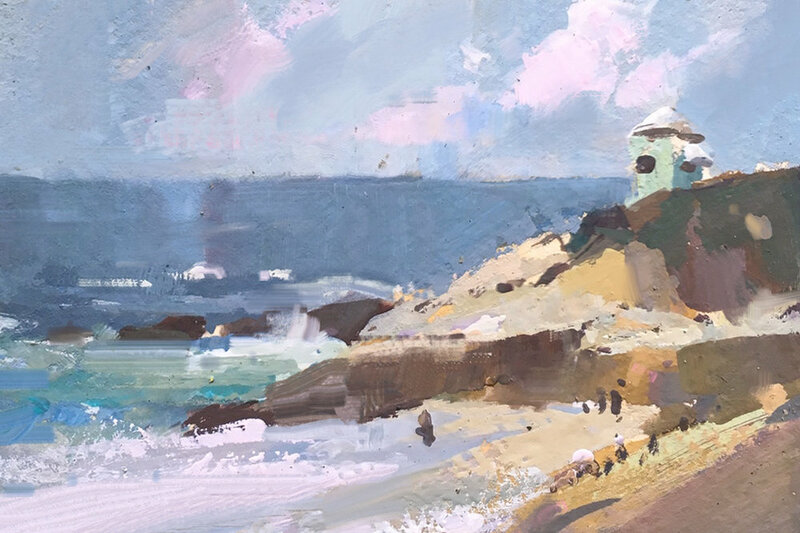 That is why after living in LA for seven years freelancing as a concept artist for various studios, she moved back to San Diego to pursue her passion as a fine artist and secured her new studio space—Studio 15— art Art on 30th. She is very excited to make a reality what really brings the biggest smile to her face- drowning in oil paint or painting outside onsite. To Tiffanie, the thrill of plein air is something that will always be unmatched- she loves and revels in the time restraint and the fact that she is capturing something raw and pristine in front of her with her own colors. As a fine artist and filmmaker, Tiffanie is always striving to explore the possibilities of how she can combine her traditional painting skills with digital media to create engaging narratives. She believes that film and fine art will always be powerful mediums that can connect different cultures through great storytelling, and she hopes to bring those unique stories to life, whether it be though beautiful landscapes, animated films, or heartfelt illustrations.